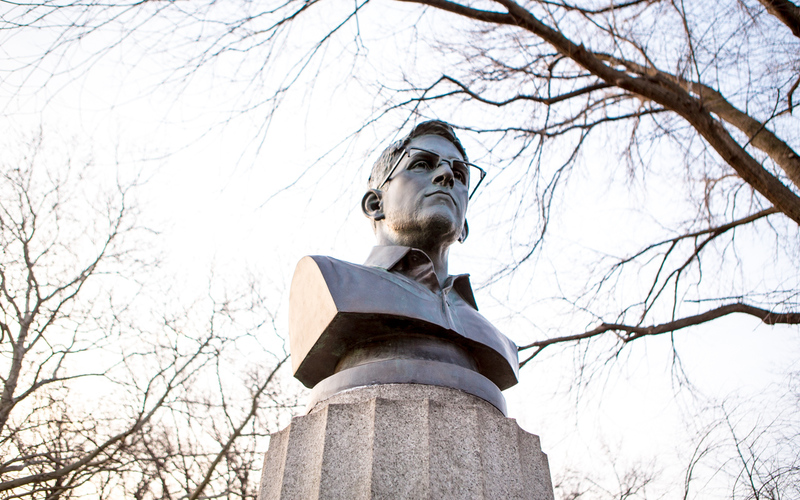 Controversial hero of the information revolution to some, traitor to the American empire to others, Edward Snowden is popping up in headlines again. A lot of Cosmoso might have caught the John Oliver interview. The interview is an instant classic and will be talked about for a long time but it was also genuinely funny, with some unexpected chemistry between Oliver and Snowden. It also featured probably the second best extended tech metaphor involving dicks. That’s right. I said second best. Other superficial highlights include John Oliver losing his mind during the half hour before Snowden showed up late, the alarming but totally unsurprising ignorance of Americans during the man-on-the-street interviews about privacy and a concise but fleeting description of Snowden’s Patriotism for the layman. The morning after the interview aired, another iconic moment in revolutionary journalism happened. 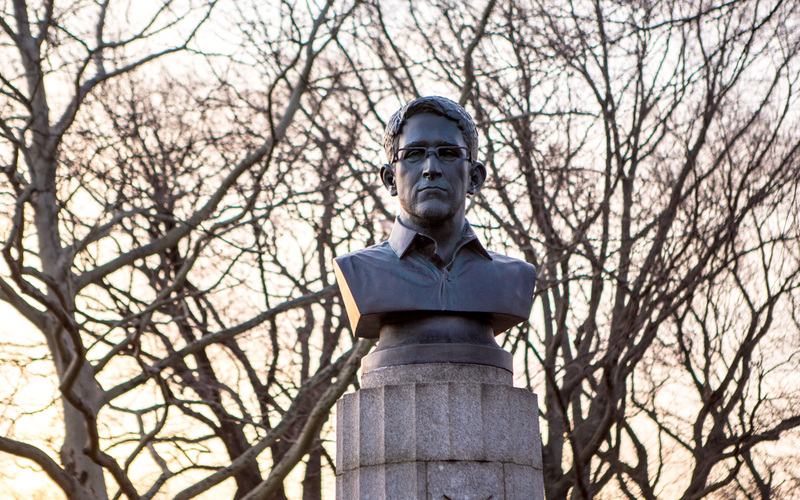 Three, anonymous street artists erected a bust of Edward Snowden in Brooklyn, video and still pics documented exclusively by AnimalNewYork. 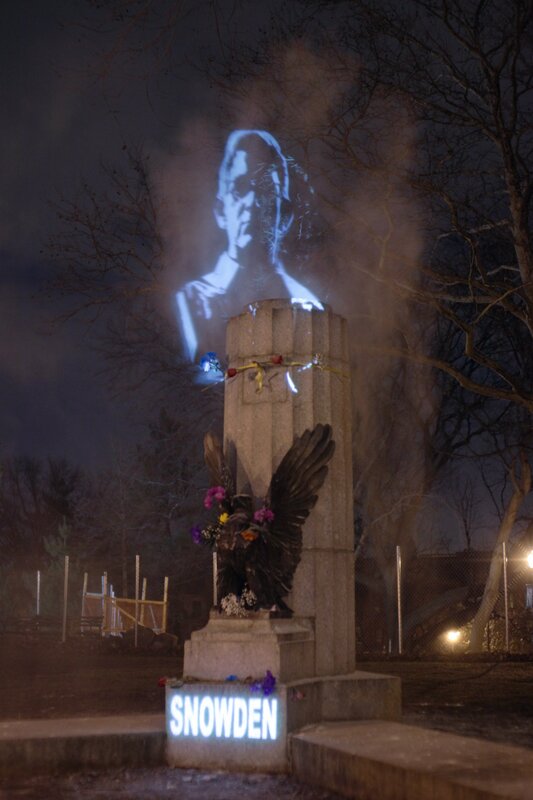 The work was covered with a tarp and removed within twelve hours because it was put atop an existing war monument, and done without permission.